same name. The island (Sardinia) is about 125 miles off the coast of Italy at its nearest point. Historically, it was ruled by Cathage before being governed by ancient Rome and subsequently the Byzantines, Arabs and Catalans. 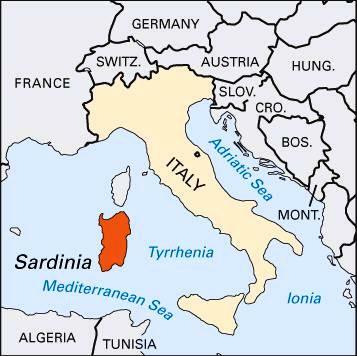 Historically, culturally, geographically for sure --- and even linguistically --- Sardinia maintains a somewhat separate identity from Italy, despite it being both governed and subsidized on occasion by Italy. It has ancient grapes, but viticulture has never been its’ principal focus. Conditions for grape growing, in certain areas, are certainly excellent. But the island has a tradition of grazing sheep and agriculture has been its preoccupation. The island’s history of winemaking, while going back centuries, involved mostly the production of sweet wines (two fortified) and the production of wine to be shipped to Italy and used in blending Chianti. Locals were quite happy with the quality of wine locally produced; so much in fact that little was exported. Even today, many of their dry and sweet liquoroso wines, their Moscatos, Malvasias and Vernaccia di Oristano are unavailable here. While DOCs were eventually established, little was seriously done even then to match varietals to their best terroirs. In fact, two of the island’s most popular varietals have been extended to include the entire island. And even within established DOCs, yields are allowed to be generous and many producers simply opt for labeling their wines IGT, thus eliminating the bureaucratic hoop jumping that DOC status doesn’t seem to confer on the world’s stage for wines of this area anyway. Be honest, when you’re thinking Italian wine, how often do you think – to look specifically – for Sardinia? But everywhere, in every time and circumstance, there have always been people with a belief in the long-term benefit of their thought. In the noble study of viticulture and viniculture, my palate (and that of others much better recognized) has recognized Sella and Mosca as one such group not just having vision, but having success in achieving it. Sella and Mosca celebrated its centennial in 1999 so they’ve been at it for a while. Long enough to know the island’s terroirs and what grapes best grow where. They make premium wines from estate grown grapes including both native and international varieties. And when I think of indigenous varieties, that’s what makes, for me, Franklin’s comment so appropriate. Were it not so, how else could you explain the countless varieties of grapes growing naturally across the globe that if left even unworked would become fermented on their own? Terre Bianche Torbato di Alghero DOC 2014. SRP $20.99. 100% Torbato (white wine, NW Coast). Stainless fermentation twenty days, 30% of the juice aged four months in 2 and 3 year old oak. A most unusual nose. Reminded me of a “Dreamsicle”. Some sour lemon and dust that recedes with air to allow orange and pear to come forward. Vines from soil that is heavily comprised from millennia of marine deposits and rich in chalk on the island’s coast. Crisp on the palate, mineral driven with white floral notes and citrus, pear and apple. This is a complex and unusual taste experience finishing also with some salinity. Sella and Mosca committed to this indigenous grape of Sardinia and theirs is the only 100% Torbato wine commercially available. The grape is believed, by some, to have been brought to Sardinia from Spain when the island was part of the Aragon kingdom, but no scientific evidence yet exists to establish that. Either way, in an interesting twist of history, the grape was widely cultivated in Roussillon (where it was known as Tourbat) but was almost abandoned until healthy plant material was imported in the 1980s from --------- Sardinia! Terre Rare Carignano del Suicis DOC 2012. SRP $14.99. (100% Carignano from the SW Sardinian coast). Manually harvested grapes of bush trained old vines grown in sandy soil. Fermented in stainless for 10 – 15 days. Malolactic fermentation after alcoholic fermentation, then aged three years in French barriques with additional bottle aging. Silky on the palate. A rich and deep wine that lightens as fruit develops. Nose offers dried herbs and cocoa powder with cocoa on the end palate with red cherry and plum in a long finish accented by white pepper. A lot of wine for a little money. Awarded 92 points by Wine Enthusiast and ranked #1 “Best Buy” of 2015. Interesting note: vines are still grown here on their original root stock. Known as Carignan elsewhere. Cannonau di Sardegna Riserva DOC 2012. SRP $16.99. 100% Cannonau. (Island appellation. 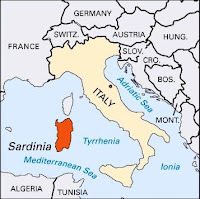 Sardegna is Italian for Sardenia). Stainless fermentation 15 days. Aged 2 years in large Slovenian oak barrels with several months additional bottle aging. An unbelievable value at this price and tasting much higher than the suggested retail price. Aromatics so balanced, they’re hard to differentiate, but very pleasing overall. Lots of red fruit – cherry and plum – on the palate. Ripe strawberry with a note of violet. Full, round and a generally pleasing taste profile in a medium bodied wine that is a crowd pleaser, but pleasing to the wine geek also. As with Torbato, there are some who believe this grape also has its roots in Spain where it is known as Garnacha, but – as with Torbato – this is unproven. Regardless, rather than let the varietal’s name confuse you, it’s good to know it also perhaps by the better associated name. Locally, Cannonau seems to be considered an elixir for long life. In the region where it is most cultivated, there is an unusually high percentage of centenarians. Having tasted this wine, I’m willing to accept that the clean air, healthy food and lifestyle of natural exercise has nothing to do with it. Marchese di Villamarina Alghero DOC 2010. SRP $64.99. Stop everything! 100% Cabernet Sauvignon….. from Sardinia? Yes, I know, and so do you, about this varietal being used in Super Tuscans, but Sardinia? Well, yes. And this label (Marchese di Villamarina) is well esteemed worldwide among knowledgeable aficionados of well-made wine with a bent toward Cabernet Sauvignon. Produced only in the top vintages, the 2010 was elegant with floral notes. Fermented for 2 weeks in stainless -preserving fruit - it then matures 18 months in small French oak casks, followed by another year in large neutral barrels followed by still another 18 months in bottle. Notes of cedar wood, black currant and leather intertwined with dark fruit in a polished and elegant wine. 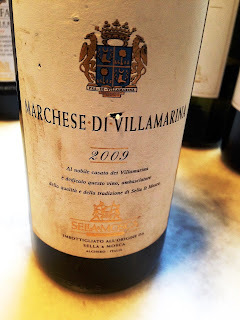 The 2009 Marchese di Villamarina Alghero DOC was deeper and with more balsamic in the nose. 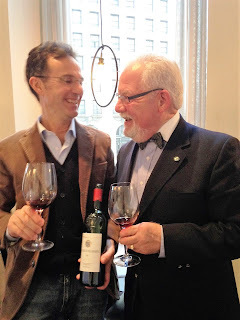 The 1999 Marchese di Villamarina Alghero DOC was simply the finest Cabernet Sauvignon I tasted in memory. Jim Croce sang about “Time in the Bottle” and this 1999 with its ripe but not jammy fruit could just as well have inspired him. Simply unbelievable! More tobacco and leather with red and black fruit. Soft and balanced. I found it interesting, happily so, that there was little price differentiation in the Marchese di Villamarina Alghero DOC vintages. But without knowing the storage conditions of a retailer, it’s always best to be cautious when buying older wines. Across the board, I was impressed too with prices for these wines. 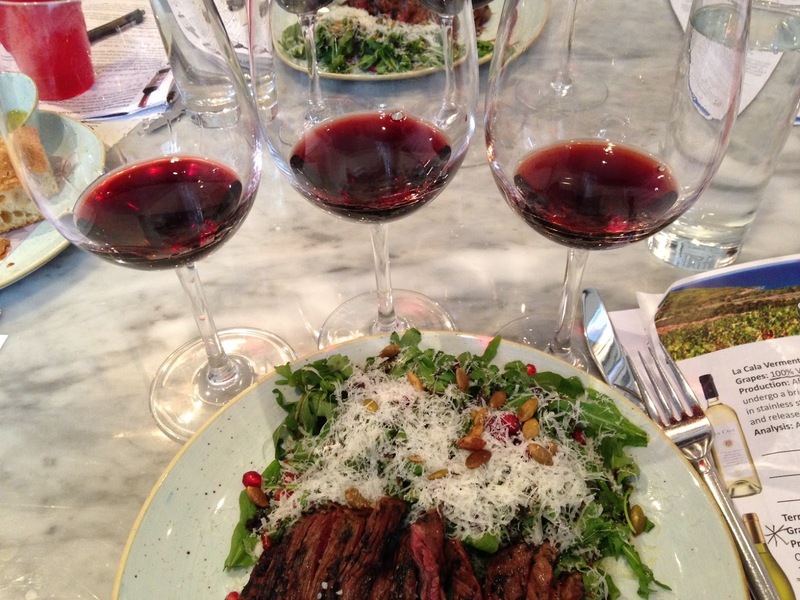 I’ve enjoyed Cabernet Sauvignons from many areas and from premier producers across the globe. I found Sella and Mosca’s very competitive in quality while being priced more budget friendly. Many of the vines in their Alghero vineyards exceed 50 years of age. Cabernet Sauvignon arrived in Sardinia in the late 1880s when Sella and Mosca started its nursery business producing rooted vine cuttings to rebuild the vineyards of Europe destroyed by phylloxera. As I said, they have history. The winery itself has been awarded Gambero Rosso’s Tre Bicchieri (three glasses) award, Italy’s highest honor, for 12 of the last 15 vintages. Wines honored with a Tre Bicchieri award are generally recognized in Italy and internationally as Italy’s best. So lift a glass and make a toast to Ben. And if you happen to fill it with Sella& Mosca’s Cannonau di Sardegna Riserva DOC, you could be adding years to your life. Remember to follow and “Like” Wine Mizer on Facebook. With postings almost every day, you’re missing out on mini wine reviews, suggestions for food & wine pairing, industry news and more.